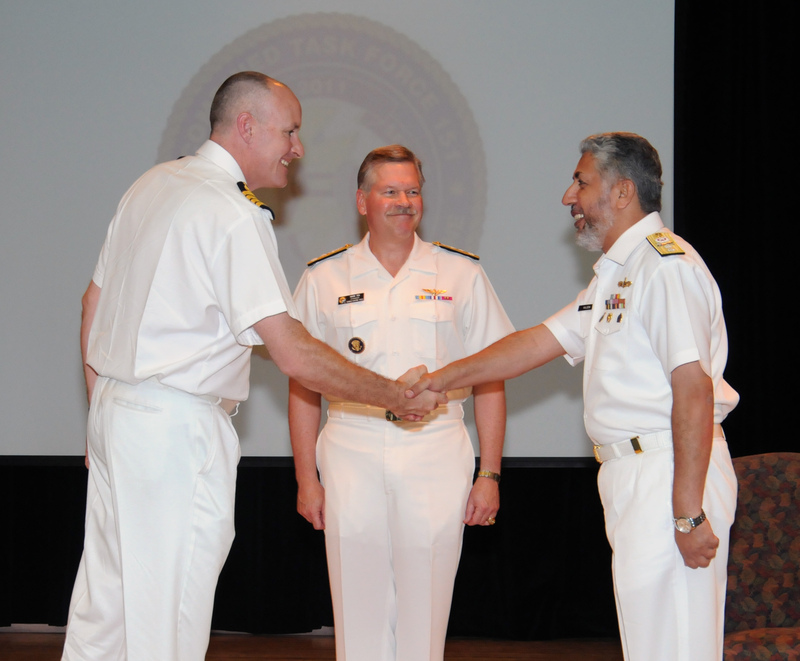 MANAMA, Bahrain – The Pakistan Navy assumed command of Combined Task Force 151 (CTF-151), Sept. 27. 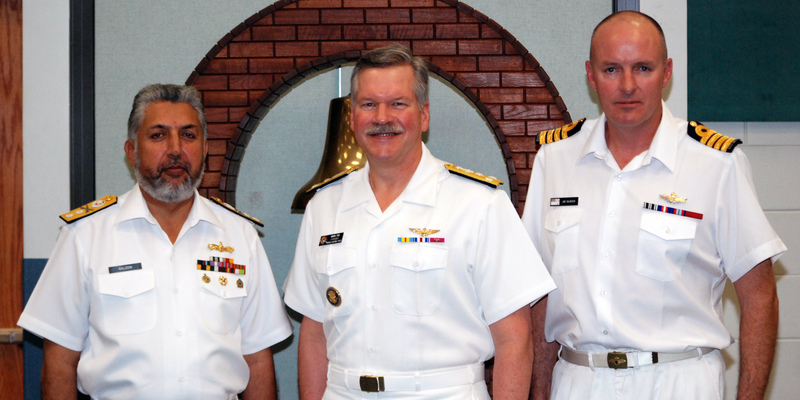 Captain James Gilmour of the Royal New Zealand Navy was relieved by Rear Admiral Kaleem Shoukat from the Pakistan Navy at a formal ceremony at NSA Bahrain. CTF-151 is one of three task forces operated by Combined Maritime Forces (CMF), a 25-nation coalition based in Bahrain. CTF-151 was established in January 2009 in order to deter, disrupt and suppress piracy, protecting maritime vessels of any nationality and securing freedom of navigation for the benefit of all. The mission based counter-piracy task force, CTF-151, operates throughout an area of 2.5 million square miles including the Gulf of Aden, the Southern Red Sea and the Somali Basin. “My team can happily look back on a range of important operational activities that have destroyed active pirate group equipment, denied their freedom of manoeuvre and most importantly, dented their sense of impunity. “I have been extremely well supported by my coalition battle staff and my flag ship USS ANZIO. For the first time, the CTF 151 battle staff has been a true coalition one – with staff from Australia, the United Kingdom, the United States, the Netherlands, the Republic of Korea, the Kingdom of Saudi Arabia and Canada. CTF-151 is a multinational force has been commanded by Republic of Korea, Turkey, Singapore and the US. This is the second time the Pakistan Navy has led CTF-151.